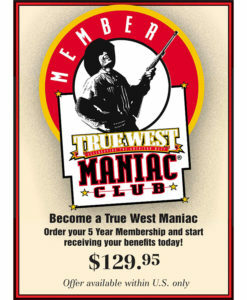 Become a True West Maniac for Life, today! 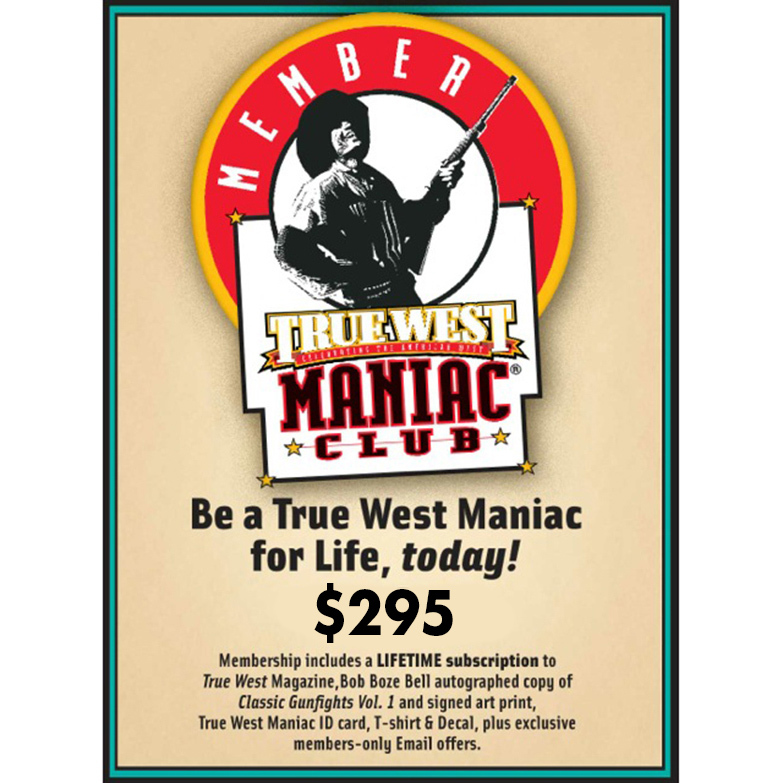 Membership includes a LIFETIME subscription to True West Magazine, Bob Boze Bell autographed copy of Classic Gunfights Vol. 1 and signed art print, True West Maniac ID card, T-shirt and Decal, plus exclusive members-only Email offers.